Location: On the Deux-Sevre/ Vendee border. 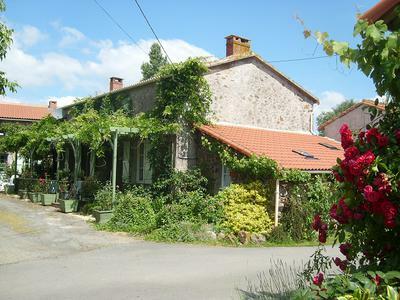 Ideal for letting during holiday/ festival season (e.g., Puy du Fou, approx a 30 min drive away), cave/ winery, garages, workshop, storehouses and 2 acres of land including a well kept garden, fruit trees, and manageable vineyard. 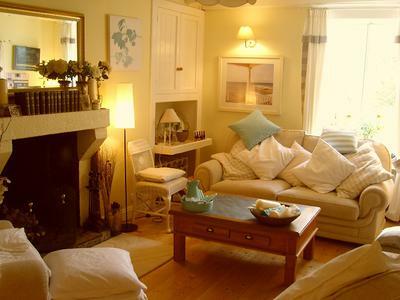 Main house: Upstairs there are 3 double bedrooms, one of which is en-suite, as well as separate shower room and toilet. From the stairway and throughout upstairs original period features of the house such as exposed oak beams can be seen. Downstairs there is an open kitchen, 2 living rooms, toilet and study with storage/ utility room leading into garage at rear. WC. Both living rooms have solid fuel burning stoves. The entire house can be heated from convection pump feeding the radiators off the stoves, making it highly energy efficient. Outside the house is a terrace shaded by grape vines looking onto a well manicured garden. 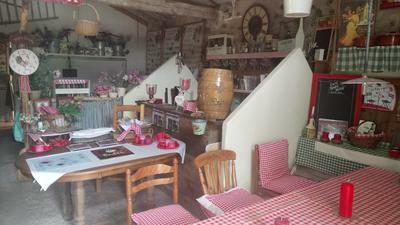 The property is located in a peaceful hamlet, but is only 12 minutes drive from Cerizay where you will find all of the shops and amenities that you need on a daily basis, including supermarket, bakery, tabac, banks, mechanics, recycling centre and train station. 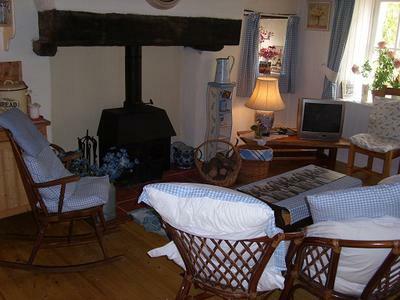 The main property is accompanied by 2 detached, terraced cottages. Identical in layout they boast a downstairs kitchenette and living room with original large open fireplaces, now housing solid fuel stoves. Access to rear with small terrace. Upstairs a large double bedroom, with built-in bunk beds and shower wash room. Exposed beams throughout and satellite (English) TV. Adjacent to the main property is a bespoke cave/ winery used as an area for socialising including a bar, large terracotta wine rack, and vintage working grape press. Backing on to this is a large wooden barn used as a workshop, supplied with electric and running water. Next to this is a newly built block-work garage, with mechanics pit. To the side of the winery/ cave are 2 small storage rooms that look onto the garden. Property comes with land totaling 2 acres. This land is divided up between well maintained garden, with fruit trees, bbq area, and gazebo and working vineyard (vines ranging in age from 4 to 1 year old). Land is accessible by vehicle from rear where there is secure double gate entry.